How can I create a Smart List that includes tasks within a specific duration/time estimate range? 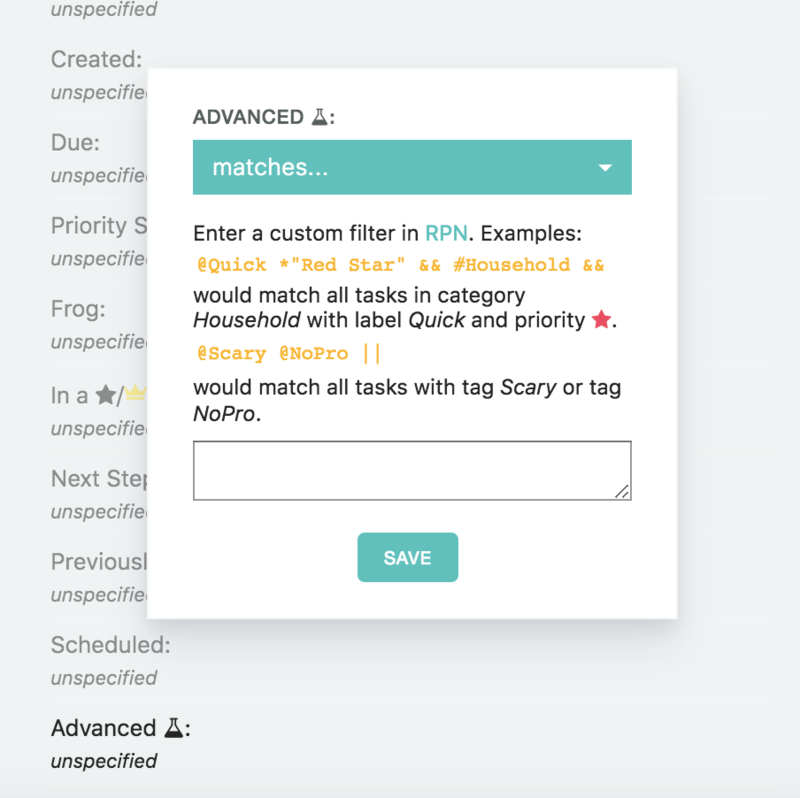 I need a Smart List with tasks that are between 10 and 20 minutes long, how can I set up a filter for that in the Smart List? The advanced Smart List filter option is at the very bottom of the list. Select it and then pick "matches" from the drop down options. This matches tasks in the range of 10-20 minutes. Don't forget to click "save" before closing the mini dialog.